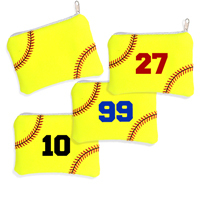 Hit a "Home Run" in the heart of a softball loving sweetheart with a bouquet of six Softball Roses. A bouquet of flowers is a timeless gift, but now with Softball Roses, you can swing for heart with softball-themed flowers. Softball Roses feature petals handmade from genuine softball "leather" and we will arrange six Softball Roses into an unforgettable bouquet that lasts a lifetime. 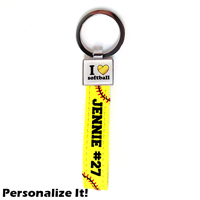 Your sweetheart will love showing off their passion for softball year round. We will accent the arrangement with sparkling hearts, a Valentine's Bear (actual color may vary based on availability). The Softball Rose Valentine's Day "Home Run" Bouquet is a perfect gift for softball fans, players, team moms, and coaches. 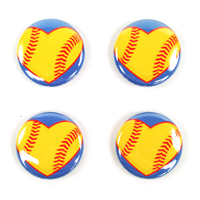 Show your [heart] for softball on your hat, jersey, backpack, clothes with our special edition softball hearts pins. Available for a limited time only! 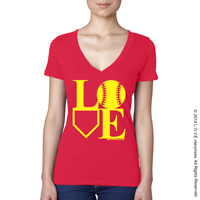 Don't strike out this Valentine's Day! 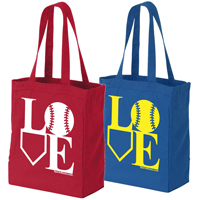 Upgrade to a dozen Softball Roses and hit a "Grand Slam" with a softball-loving sweetheart!